On Friday it snowed. On Monday it was 80 degrees outside. Hello April, nice to see you again. 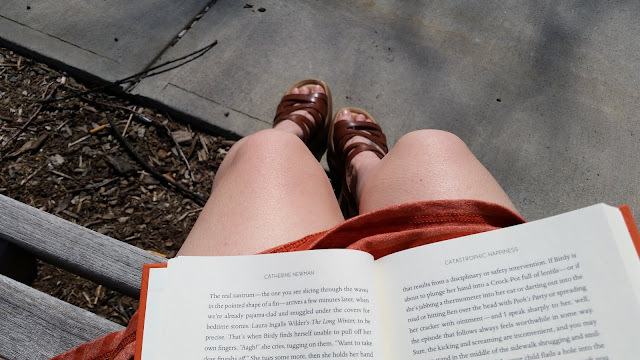 I wore a dress and sandals to work and spent 55 of my 60 lunchtime minutes outside walking and reading. It was glorious. I started this book just yesterday and didn't have time (with the walking) to get very far into it, but I was chuckling and nodding along. I'm looking forward to reading more today. And I can't wait for outdoor lunches to be the norm again!